WordCamp is an event held by the WordPress community to get together, share some ideas, and learn new things related to the lovely CMS. In Indonesia, the event was held 3 times including this year. WordCamp Indonesia 2011 was held in Bumi Sangkuriang, Bandung on January 29-30. The speakers line-up was filled by some very competent success people, some of whom are CEOs of local startup companies. The audience were WordPress enthusiasts from the country and abroad (Malaysia, Singapore, Europe, etc). The topics covered were amazing and varied, from tips on selling premium themes to tips on speeding up your WordPress site, from some very basic knowledge to the very technical ones. Here are the summaries from some of the sessions. A shocking fact: there are some people whose themes in Theme Forest have been downloaded hundred thousand times within the last 2 or 3 years. Wondering the price of one theme per download? It’s around $20-$30. You do the math. One more amazing fact: 3 of them are Indonesian. Interested in switching your job? Hold on, it’s not easy to sell premium themes. 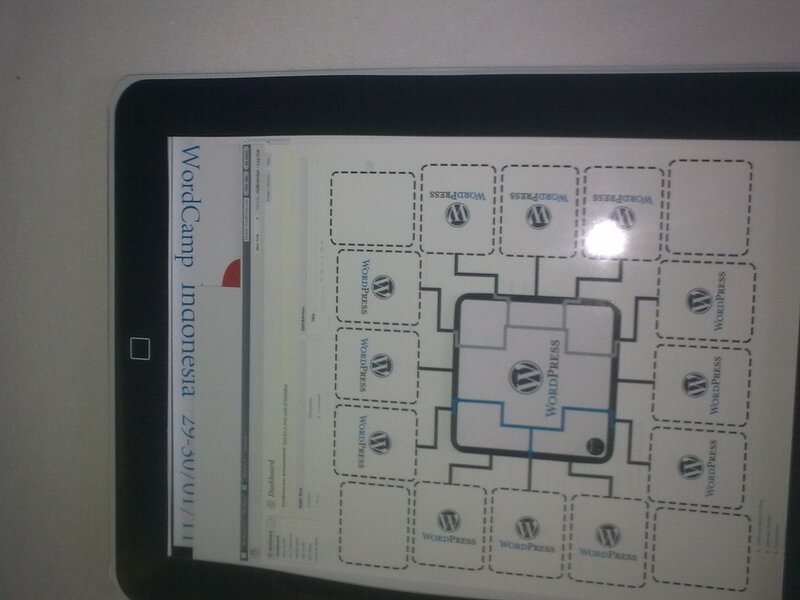 You don’t create a PSD, slice it, integrate it to WP, and then sell it. There are things to consider when you’re thinking on selling your themes on marketplace like Theme Forest. One of them is that your themes need to be unique. Not only the design, but also the functionality, the features, the header styles, the effects, etc. You have to be totally different from the other themes! Perhaps it’s better to choose niche market such as real estate or invoice themes. One other thing is, you have to provide good documentation for your themes. 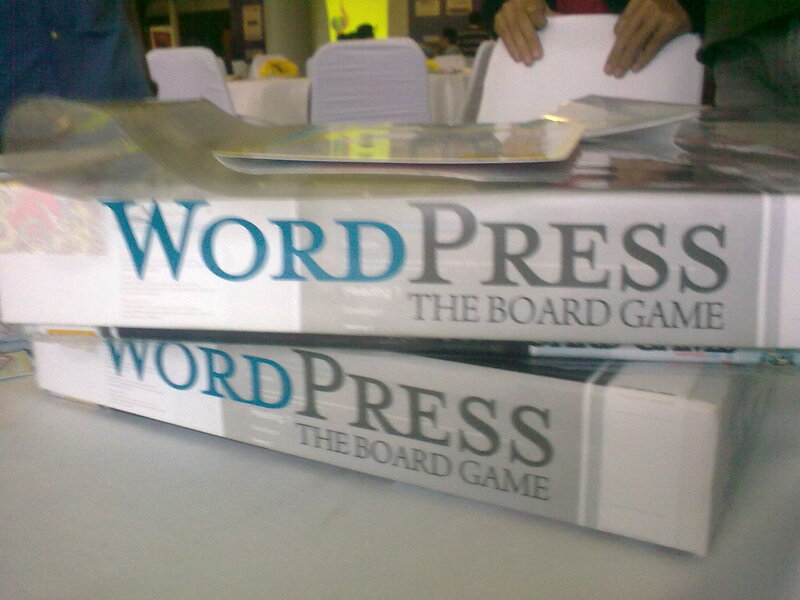 Bible-thick one should be sufficient :D .
Automattic is the company behind WordPress. We’re really lucky to have Karim Osman, one of the company’s happiness engineers to speak in the event. Karim spoke about what will happen in 2011. He mentioned internal linking, column sorting, the new WP API regarding multi-taxonomy queries, network admin, the new admin bar, and of course user interface and experience. At the end of each session, the speaker got to ask questions to the audience. The ones correctly answered the questions will get some prizes. I answered Karim’s question about what to do when there is a PHP error regarding memory limit on your WP site. I just solved this problem several days before the event when working on a project :p . So, one free WordCamp t-shirt and $50 voucher to spend on WooThemes are mine. Yay! What’s CDN? It’s Content Delivery Network. Ya, but what is it? Those were the questions in my mind when CDN was mentioned in the previous day session titled “Best Practices on Optimizing Securing and Scaling WordPress” by Simon Lim from WP Design Studio. I got the answer in this session. CDN is basically a network of servers storing static data of your site’s files and contents like images or videos. This method will improve web page loading speed because the contents are pulled from the server near to your location. Big websites or portals like Facebook utilize this technology. Take a look at the browser loading bar when you open a facebook page. You will see that the contents are being pulled from the Facebook CDN server. 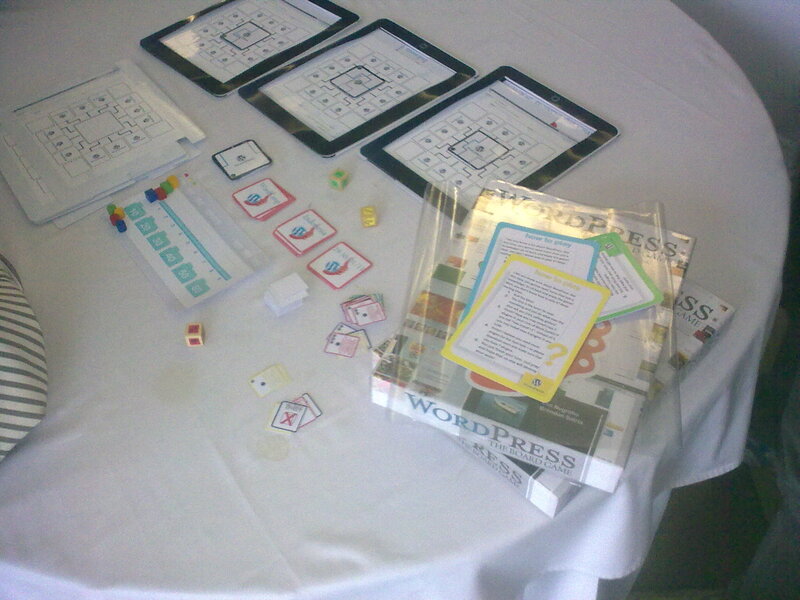 In WordCamp Indonesia 2011, WordPress Board Game was introduced the very first time! The game was created by Eko Nugroho and Kummara. Kummara is this small cafe across the Universitas Katolik Parahyangan. The cafe prepares board games and wifi connection for the customers (I wonder if this kind of spot exists in Jakarta). WP Board Game requires 4 players. My friends and I are the second team to play the game! We’re supposed to be the first, but we decided to put our bags in the car and our place were taken by others. 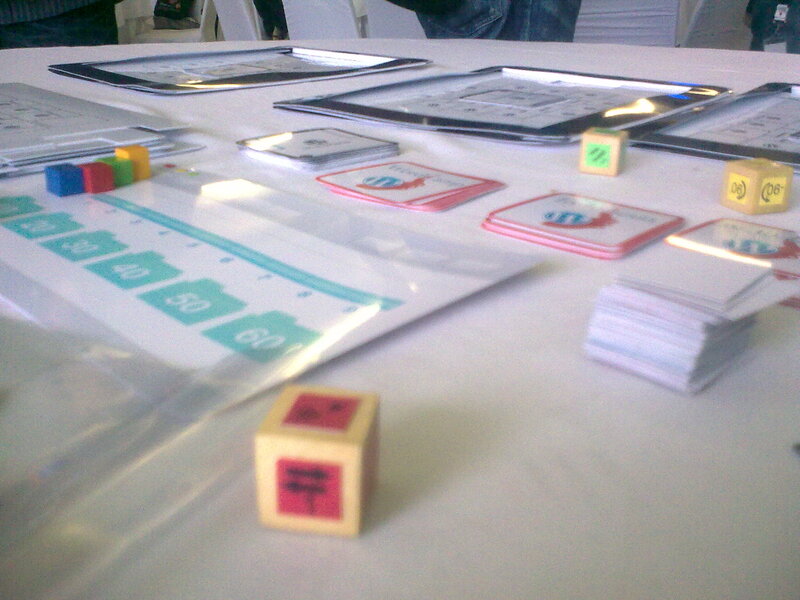 Our first impression, the game is much too complicated. But once we got the grasp of the rules, we enjoyed it really much. It was really cool, exciting, twisting! We played for about 1,5 hours and not once we got bored. It’s killing me if I have to write the rules of the game here. So, enjoy the picts :) . Thanks to Mas Valent Mustamin and the committee. 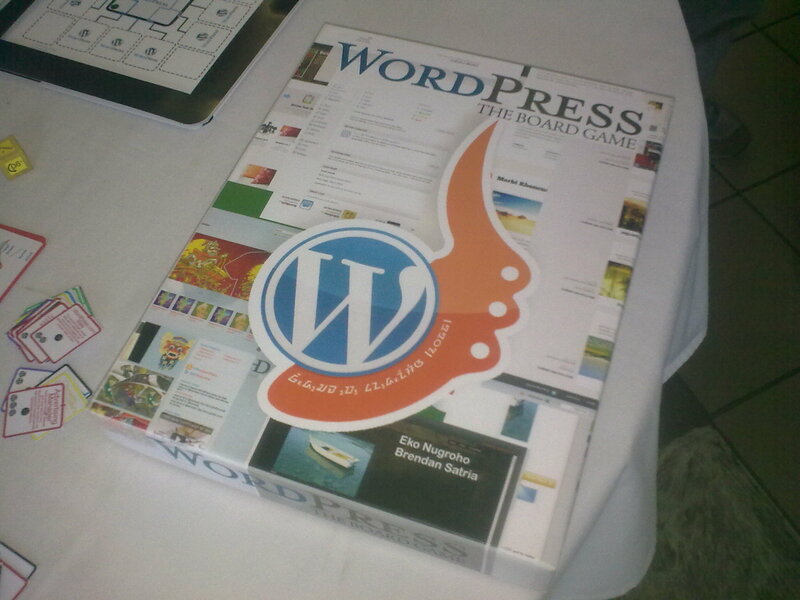 We really had a great time in WordCamp Indonesia 2011. We got knowledge, we got entertainment, we got inspiration, we got insights, we got excitement. 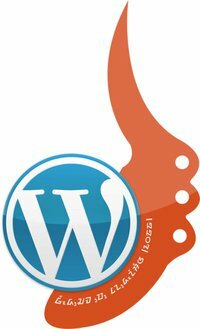 We love WordPress, now we love it even more. It’s time to convert what we got to some serious money. good ,,, i like it. Thanks Karim! Awesome session too from u that day! Howcome this such event slipped away of my buzzing ears? Damn!